Americans, from the earliest days of the Republic, have always been fascinated by science and its potential to improve our lives. Benjamin Franklin was as much famed for his early experiments with electricity and his inventions as for his diplomacy to secure funding for the Revolution. The tragedy of the global warming fraud will be a generation whose faith in climate science will have been severely shaken. 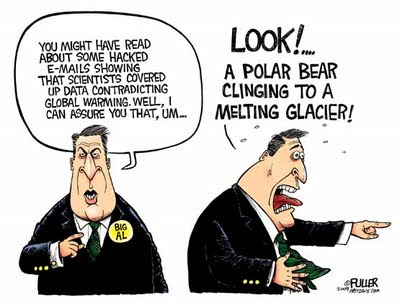 They will have witnessed the deliberate distortion of climate data for a political objective. And the Botanical Society of America, the Crop Science Society of America, the Natural Science Collections Alliance, the Society of Industrial and Applied Mathematics, the Soil Science Society of America, the Ecological Society of America, the Organization of Biological Field Stations, the Society of Systematic Biologists, and the University Corporation for Atmospheric Research. Together, they asserted that “Observations throughout the world make it clear that climate change is occurring, and rigorous scientific research demonstrates that the greenhouse gases emitted by human activities are the primary driver.” It went on to repeat all the usual scary scenarios of rising sea levels, urban heat weaves, wildfires, and other climate-related events. We now know that the “science” being cited by these two entities was, at least in the case of the IPCC, totally rigged, but the presidents of these alleged science-based organizations took it on face value despite ample scientific evidence it was false. The revelations of emails exchanged between the perpetrators of the hoax have demonstrated the deceptions. The political ideology is socialism. The objective is power over the lives of Americans, Europeans, and others worldwide, all of whom have been falsely led to believe that carbon dioxide (CO2) is a “pollutant” and responsible for a non-existent rise in the Earth’s average temperature. In point of fact, the Earth has been cooling for a decade and is likely to do so for several decades to come. In light of this, who can trust these organizations? And who can trust the “science” produced by NASA and other U.S. agencies that have benefited from billions in grants directed at so-called climate, i.e. global warming research? These organizations must now publicly admit to their role in advancing this international fraud and must take steps to correct the record, to examine the data of those courageous climatologists, meteorologists and others who, while barred from having their work appear in the IPCC reports, did not shrink from sharing it with the public. It won’t be easy. The President of the United States, despite lofty statements in support of science, is totally committed to the fraudulent “science” of “global warming.” He has surrounded himself with people associated with the fraud, from his “Science Czar” to his “Climate Czar”, as well as appointments such as the Director of the Environmental Protection Agency. President Obama has repeated every global warming lie that has been around for far too long and will shortly bless the December UN Conference on Climate Change in Copenhagen with a visit before picking up a now worthless Nobel Peace Prize. All of this is a national disgrace and remains, in the form of the Cap-and-Trade legislation awaiting a vote in the Senate, a threat to the nation’s economic recovery and to the faith that Americans have always had in legitimate science. Caruba blogs daily at http://factsnotfantasy.blogspot.com. He is the founder of the National Anxiety Center, a clearinghouse for information about “scare campaigns” to influence public policy and opinion.